For ten thousand years, the massed armies of the Astra Militarum have defended the Imperium from the multitudinous horrors that seek to overwhelm it. With guns and tanks, determination and courage, these human soldiers fight across a thousand war zones, in a war that has no ending. This anthology showcases some of the most famous regiments of the Astra Militarum along with their charismatic commanders, heroes such as Commissar Yarrick and Colonel `Iron Hand' Straken. David Annandale is the author of the Horus Heresy novel The Damnation of Pythos. He also writes the Yarrick series, consisting of the novella Chains of Golgotha and the novels Imperial Creed and The Pyres of Armageddon. For the Space Marine Battles series he has written the novels The Death of Antagonis and Overfiend. David lectures at a Canadian university on subjects ranging from English literature to horror films and video games. 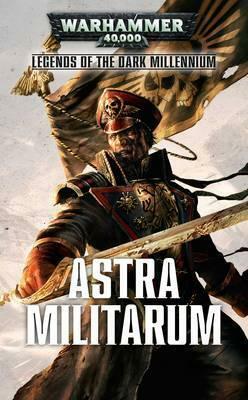 Toby Frost is the author of the novel Straken, about the eponymous Astra Militarum colonel. His other published work for Black Library includes the Inquisition short story 'Lesser Evils', along with the tales 'A Hero's Death' and 'The Apex', which both feature the grizzled Colonel 'Iron Hand' Straken. He has more tales of Straken on the way. Justin D Hill is the author of the Warhammer 40,000 short stories 'Last Step Backwards', 'Lost Hope' and 'The Battle of Tyrok Fields' - all of which follow the adventures of Lord Castellan Ursarkar E. Creed of the Astra Militarum - along with the Space Marine shorts `Truth is My Weapon' and `Deadhenge'. He also penned the Warhammer tales 'Golgfag's Revenge' and 'The Battle of Whitestone' for Black Library.